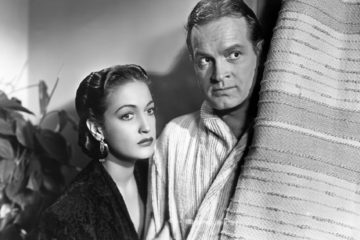 Bob Hope saunters into a Damon Runyon story as a racetrack huckster who scams the wrong man, a mob boss, and spends the rest of the movie building a web of schemes to save his own skin before the stroke of midnight, Christmas Eve, or it’s the dirt motel for eternity. 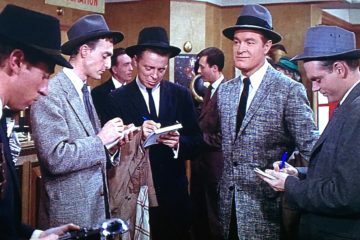 The springboard is Runyon and his world of present-tense, nickel-novel types, but this adapted version (by, among others, the great Frank Tashlin) is only and ever a Hope vehicle that all but repaints the horse-betting tale with his patented faux confidence and non-stop throwaway quips – all very expected and desired by the Hope connoisseur. 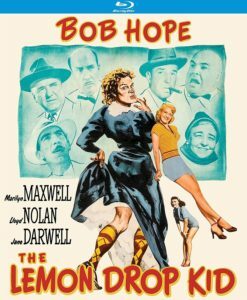 Hope is the titular “Lemon Drop Kid”, so named for his obsessive love for the hard candy, who weasels his way from sunny, track-side Florida to snowy New York City – that’s where the usual raw materials for his ad-hoc criminal endeavors wait at the ready for his rescue. Surrounded by the likes of Oxford Charlie, Straight Flush Tony, Sam the Surgeon, and Nellie Thursday, he can hustle his escape plan, first in a phony Santa bit, with a bucket for needed donations, a ruse that would never fly in a million years (and nearly gets him as many), but it was too small a scene anyway. After a narrow escape from the clink, he goes large, hiring a team of hoods to Santa-pose for a “legit” charity: his newly founded old folks home for past-their-prime Broadway dolls. After all, what good’s a plan if it’s not big enough to collapse loudly? Along the way, Hope plays some decidedly non-Runyonesque shenanigans: namely, stealing the old-lady clothes right off a mannequin to go incognito into his own scam, now that the big boy crooks have moved into his digs. 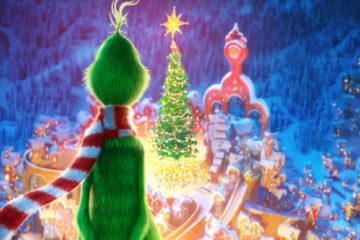 The movie’s claim to fame, outside of being one of Hope’s more start-to-finish solid outings, is having gifted the world with the now-traditional Christmas song “Silver Bells”. 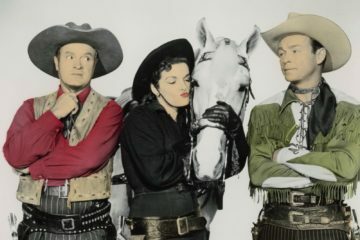 It’s always hard to imagine a song so ubiquitous ever having a start-dot on any timeline anywhere, much less that it would’ve sprung from an otherwise remote Bob Hope comedy. 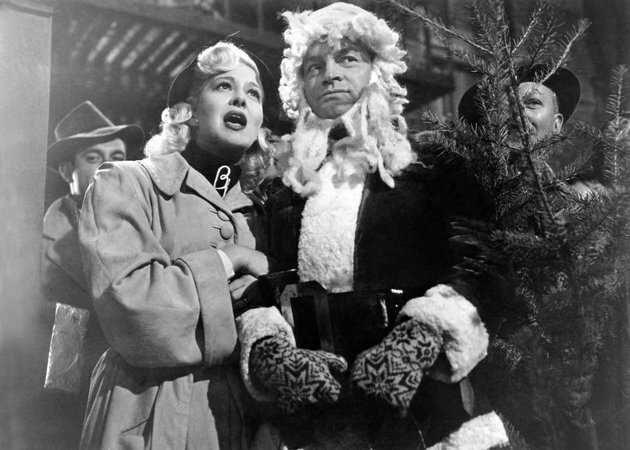 Asterisk: Hope, et al, intended a Christmas ’50 release, but things went sideways and it was delayed till spring of ’51. 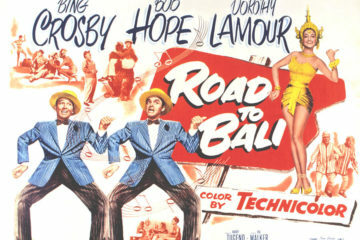 Meanwhile, Paramount smelled cash all over the song and gave it to Hope’s “Road to” cohort, Bing Crosby, whose recording of it was an instant hit. 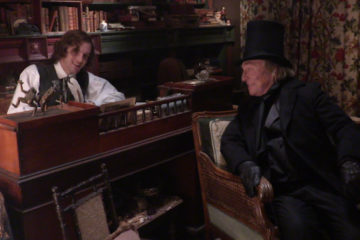 Reshoots of the musical scene were ordered, with the longer version of the song – but to unknowing audiences, it must’ve appeared that Hope was hanging on Crosby’s coattails. Who knows Hope’s reaction to all this, but there must’ve been some glee in the fact that the first time we hear “Bing’s” warm-hearted holiday song, it’s over a montage of crooks in fake Santa costumes bilking ill-gotten loot as a payout to a mobster. 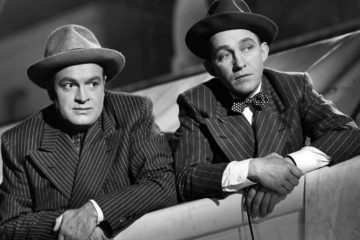 A scene not so key to the movie, but key to Bob Hope’s entire body of work, comes about 20 minutes in. Heading in to a hotel to visit an old flame for a cash request, Bob pit-stops at a lobby mirror and for two full minutes pampers himself with a combing, a dry shave, a tooth brushing, and a generous perfuming, all the while falling deeply in love with his own image, panting, cooing, even shivering at his own beauty, to the point you think he may’ve forgotten completely about the girl. The pair of phrases he mutters to his own reflection — “What a crime if you had to die,” and “I hate to leave you, but that’s fate.” — capture better than anything the self-loving essence of Hope. It’s a simple matter of fact in his own mind that no one should ever be without the charm, smarts, and connections he has, and no one should ever think so one-dimensionally as to take him out of a world that needs him so badly. Every squeeze-faced jail-cell negotiation, every quipping approach to a villain who could shiv him but good, every shrugging excuse for his wanton infidelity to a single woman – all of it is self-fawning self-preservation, sometimes with desperate tie pulling, sometimes with light-footed charm, always smooth-talking and glib, ever above the real danger with eyes only on the quick escape from any ill fate his smiling pride hasn’t deemed worthy. 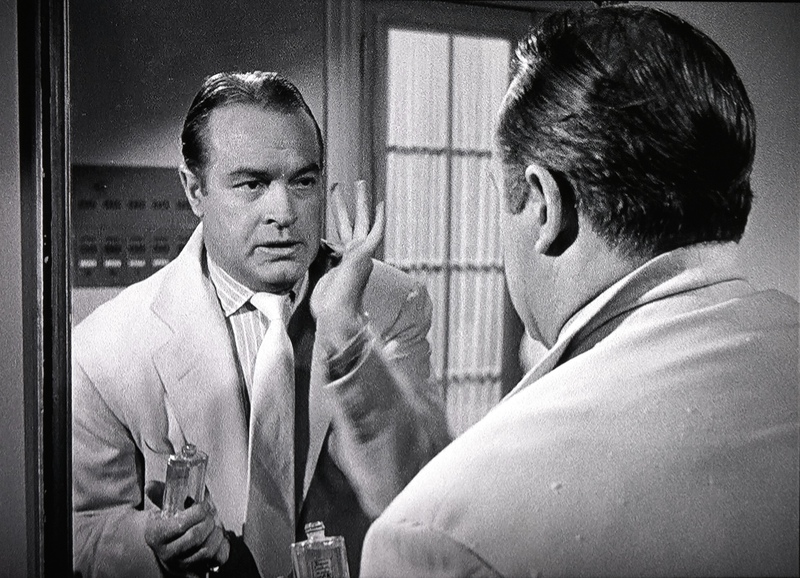 It’s the default of all of his characters, and it’s perfectly anointed in a scene requiring the only prop the Bob Hope persona invisibly possesses at all times: a mirror that will never disagree. If we’re along for the ride at all in any of his movies, it’s because he’s somehow convinced us, with that cocksure energy of his, that he’s still got something like a heart – even if it’s a heart full of glib conceit. Kino Lorber’s release contains no extras. The images in this review are not representative of the actual Blu-ray’s image quality, and are included only to represent the film itself. 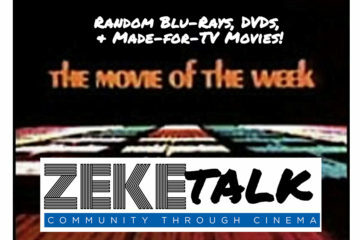 ZekeTalk: Random Blu-Rays, DVDs, and Made-for-TV Movies!